When you imagine a book tour, you might picture authors trekking from city to city, entertaining crowds of avid readers with special readings or signing copies of their latest book until their fingers bleed and their shoulders require icepacks. Isn’t that the dream? For some it might be (because books are selling and they have a massive fan base). For others it’s a nightmare. Then there are those who fear being faced with a handful of zip-fronted sportswear wearing readers who aren’t even part of their YA target audience—or being faced by no one at all. Fortunately, there’s an innovative alternative: virtual book tours. This tactic isn’t only being praised for its efficiency, but it’s also being applauded by indie authors for its economical approach to reaching multiple communities while having just as much impact as its offline version. After all, our budgets aren’t bottomless and live tours aren’t always sponsored. 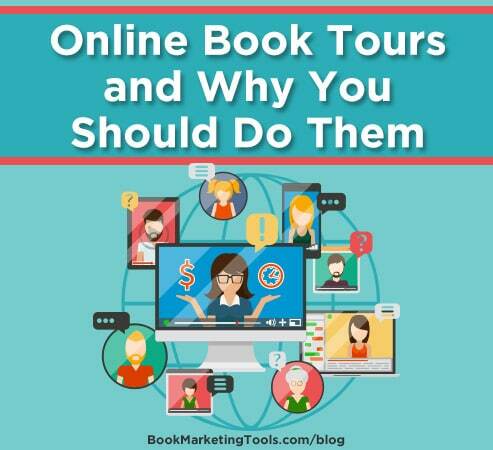 What exactly is an online book tour? Much like traditional book tours, virtual tours consist of multiple tour stops—they simply happen online and across multiple platforms. Generally, a tour lasts two to three weeks with a tour stop taking place every day or every few days. Depending on an author’s strategy and goals, a tour may be shorter or longer. For example, a shorter tour of five to seven days aims to boost a book’s sales rank on Amazon within a short timeframe whereas an extended tour that lasts several weeks to a few months aims to build continuous exposure, brand awareness, and name recognition. These tour stops can take place on both your platforms (including websites, social media platforms, and email lists) and on the platforms of others. At each stop, original content relevant to the book, genre, or topic is either published to your owned platform or provided to a participating host. If you’re being hosted by someone else, you can then promote the stop to your own audience, effectively maximizing your publicity. To get started with a book tour, you do not need a large audience. You simply need to leverage your available resources to prime your readers for a boost in support during each event. What Constitutes an Online Book Tour? The goal is to obtain as much coverage of your book release as possible while remaining relevant to both yours and your host’s audience. While you can hire a publicity professional or book tour service to help implement this tactic, you can also save your hard-earned cash and do it on your own. Why Bother with Virtual Book Tours? Perhaps the most appealing benefit is that authors gain the ability to reach many more readers than they could reach on their own. Unlike live appearances where attendance tends to be confined to your existing community of readers, tour hosts have well-established communities teeming with target readers who might not know you yet. The content you provide to your hosts gives their audiences a chance to sample your work and share it with others, thereby amplifying your exposure. Tours increase sales. This means that shorter, concentrated campaigns can send your book blazing up the charts. In addition to the financial efficiency of online tours, they’re also far less time-consuming and tiring. With no travel involved, you can continue building your book business from the comfort of your own home. Besides growing your online fan base, virtual tours can help grow your blog and email subscriber list as new people discover your website. You can also build a relevant call to action into your blog post content or your author bio. You’ll have a prime opportunity to build valuable relationships with bloggers and key influencers in your genre or niche. As a bonus, hosting you is perceived as an endorsement, which ups your credibility game. You gain additional reviews from book bloggers who receive ARCs. You get to interact directly with new readers and potential buyers through Q&As, blog comments, social media chats, and more. The exposure you receive can lead to speaking invitations, additional guest post requests and interviews, and even media opportunities. Virtual tours create high-quality links to your book sales pages, websites, and social media profiles. These links are valuable for search engine optimization purposes, which means you’ll be able to drive targeted traffic to your web properties for months (or even years) after your book’s launch. As you can no doubt tell, virtual tours are worth it. You’ll build buzz, get people sharing your content, grow your platform, enhance your reputation, sell books during and after your launch, and so much more. What about the hosts? Well, they do it for the free content. In the coming days, we’ll map out exactly how to build your own online book tour. In the meantime, let us know if you’ve been involved in a book tour or seen something really unique other authors are doing to promote their newly released books. 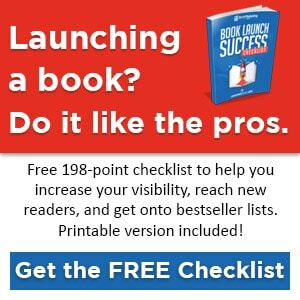 Be sure to also click on the banner below to download our 198-point book launch success checklist for your next book campaign.